Super strong sticky gel can stick securely to most surfaces (dashboard and windshield) and the suction force retained longer than that of other gel pads, yet it's still easily removable. If the gel pad gets dirt on its surface due to frequent use, rinse it with warm water and let it air dry to restore for continue use. It's the best gel pad Mpow has ever made! 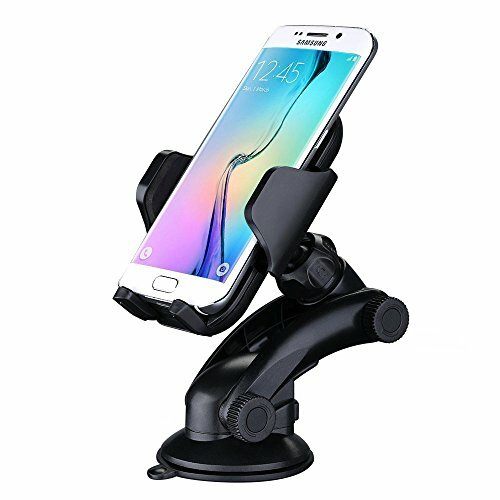 The Mpow car mount holder is fully adjustable to gain optimal viewing with its 360 degree rotation ball and adjustable two-section neck between the base and the 360¡ã rotation ball. 1.6in - 3.9in locking range allows large phones with thick otter box.